38 - £64.99 40 - £64.99 42 - £81.99 Only 2 left! 46 - £81.99 Only 5 left! 48 - £81.99 Only 1 left! So, you got yourself a new job that requires you to wear a suit. Black, navy and gray are pretty much your options. Pretty boring, right? We think there should be more options and so does Opposuits. This Mens Opposuits Green Suit is one of the gems we have to offer you. Far and away from those dull colors that all the other guys are wearing, it's great for any time you want to look a little green or when you plan on celebrating St. Patrick's Day in style. And hey, it's a suit, so you can wear it to that new job you got too! Cha-ching! Slim fit style and a real suit, this dynamic suit set is a real suit set, It comes with the jacket, pants, and matching tie. The suit jacket is fully lined, with a classic 2 button front closure. The pants are hemmed, slightly long for styling, and secure with a button and hook and loop closure. This set is 100 percent polyester (and 200% amazing, according to the label)! 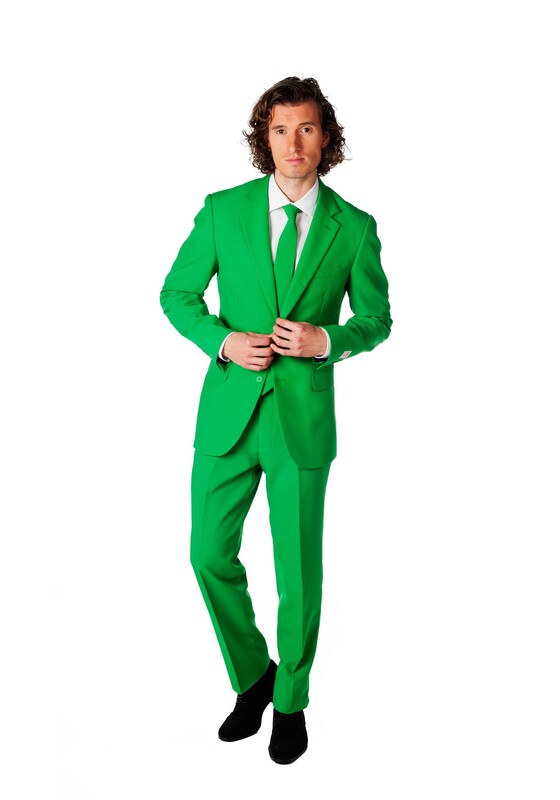 Sure, this suit looks great in the parade or for going out to the pub on St. Patty's Day, but let's face it. Green is a stylish selection for many other events, too! 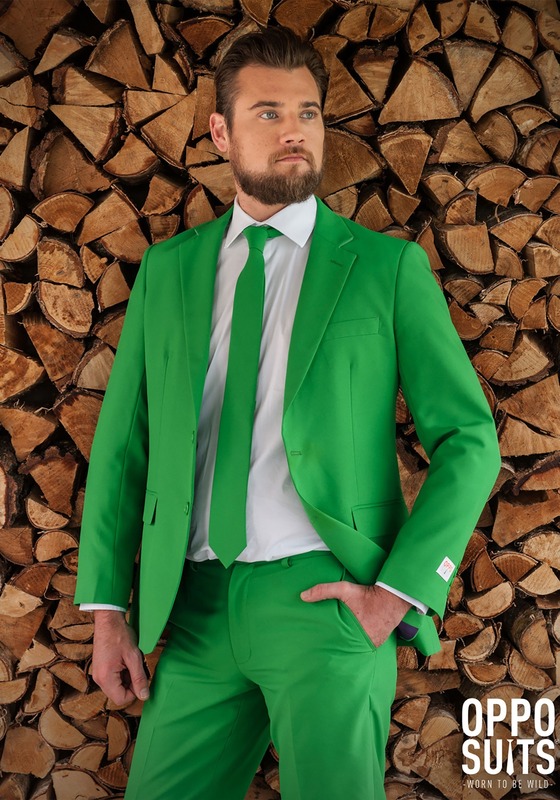 You might enjoy doing an Irish jig at the St. Pat's party, but we're sure you'll look equally great busting a move at that big wedding when you choose this stylish Opposuits green suit. 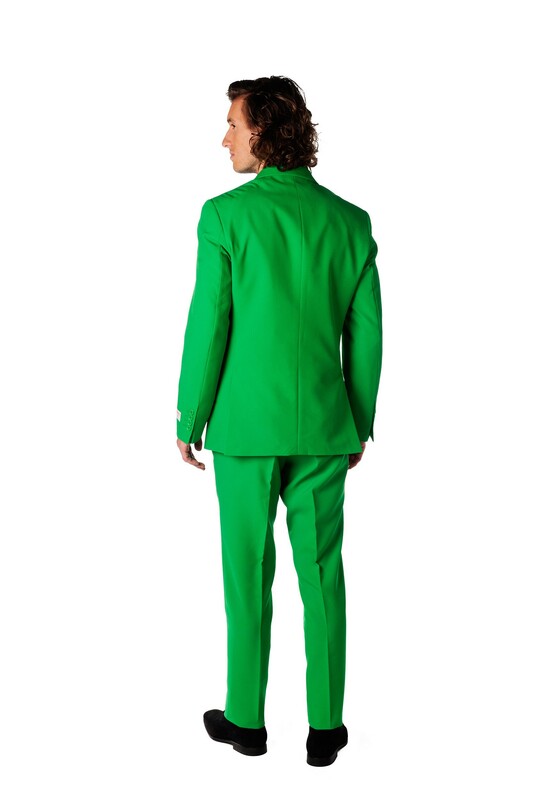 When in doubt as to which color suit to wear to your next event, just take our advice: go green!